Come celebrate our EVS volunteers’ last evening together at Charlottendal! Welcome to all who have connected with us during this year, and helped out the volunteer team in its various projects. 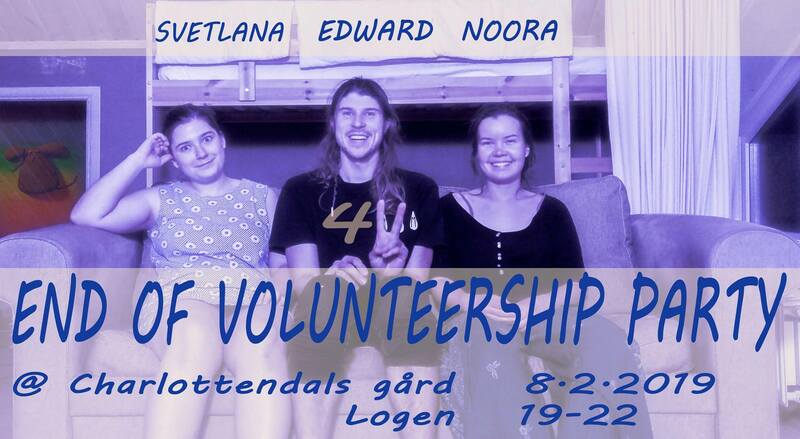 Noora, Svetlana and Edward will show you some pictures from the past year, alongside stories of their challenges and achievements. Join us at Logen in Charlottendal, 8th February at 19-22h.